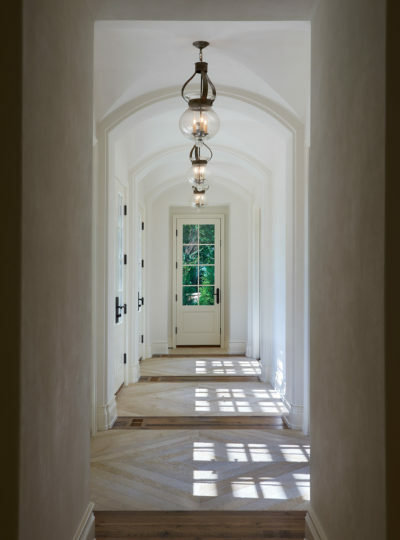 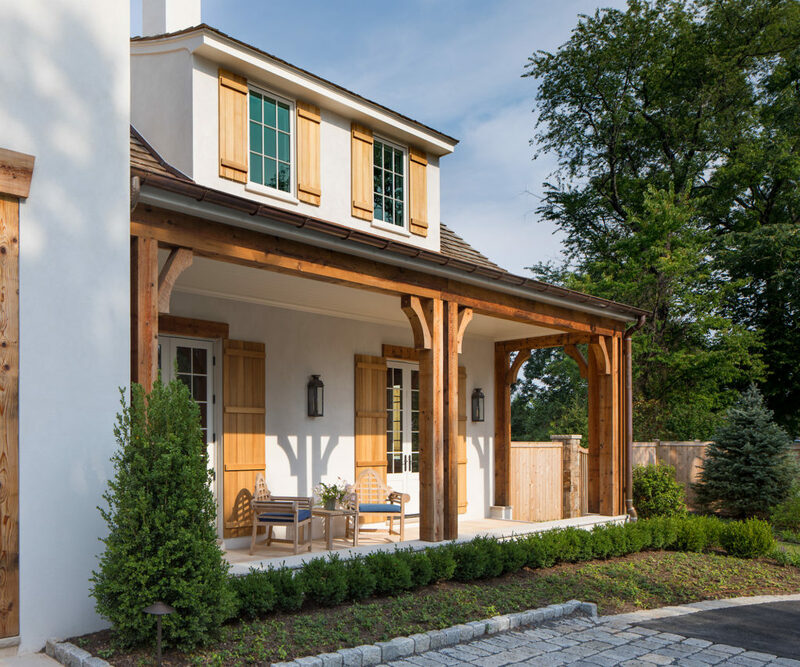 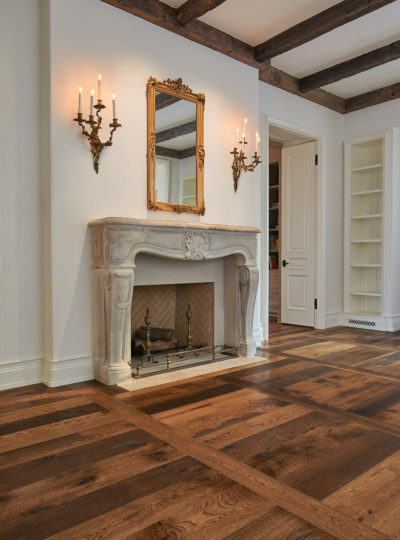 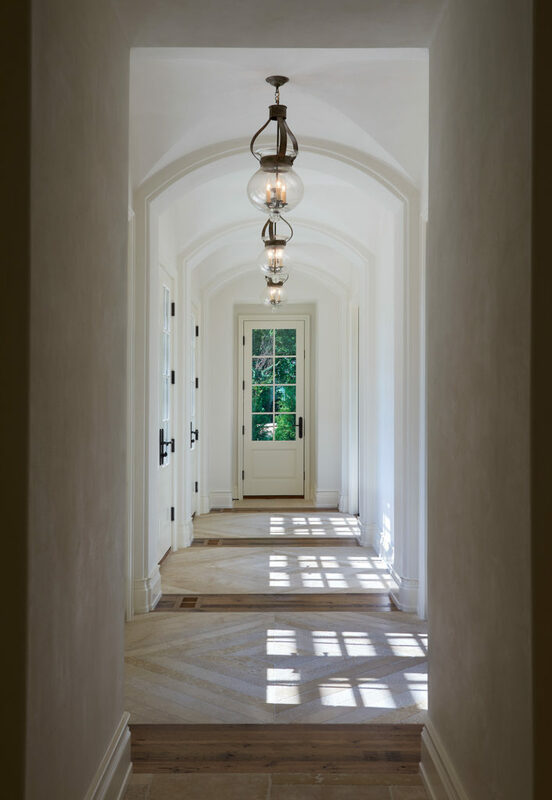 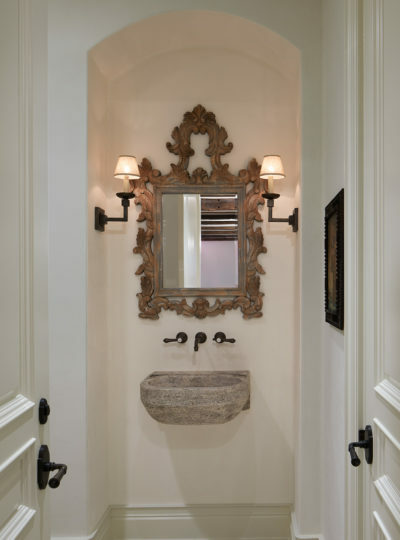 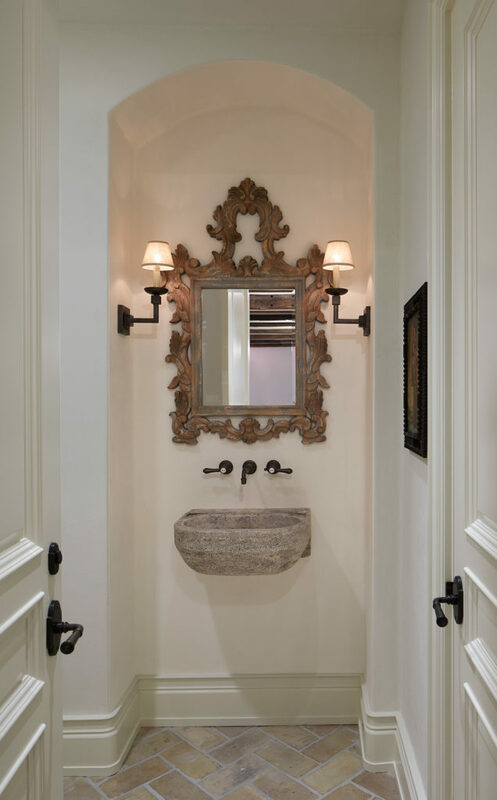 Inspired by the old-world casual elegance of French Country architecture, this newly constructed Bethesda home provides present-day luxury and convenience cloaked in cedar and stucco. 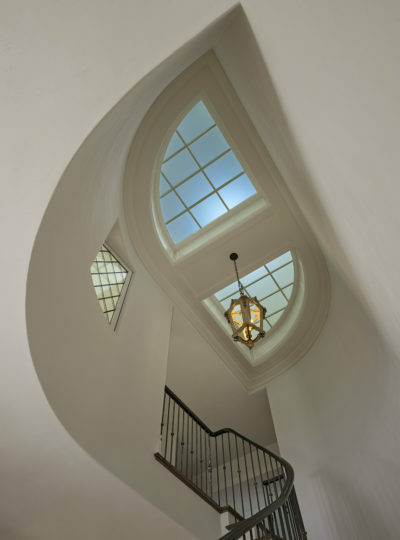 The modest appeal of a low swooping roof, shed dormers and clipped gables are hallmarks of the French Country style. 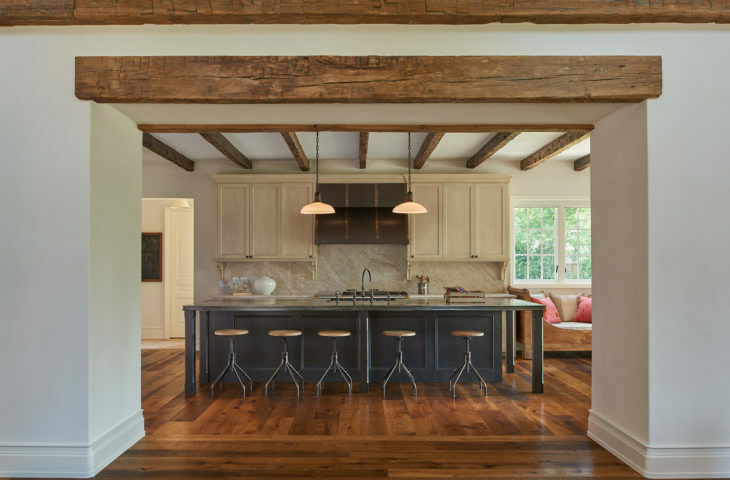 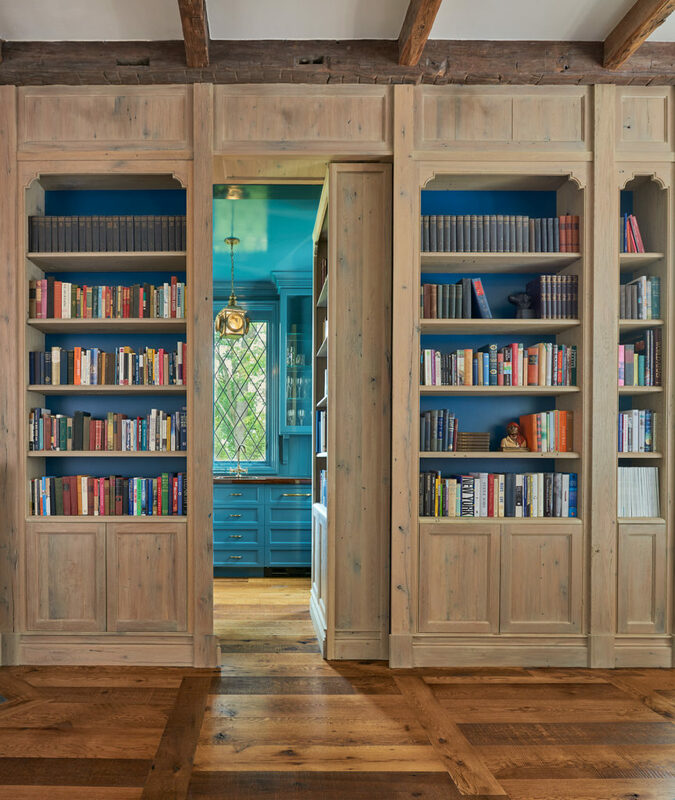 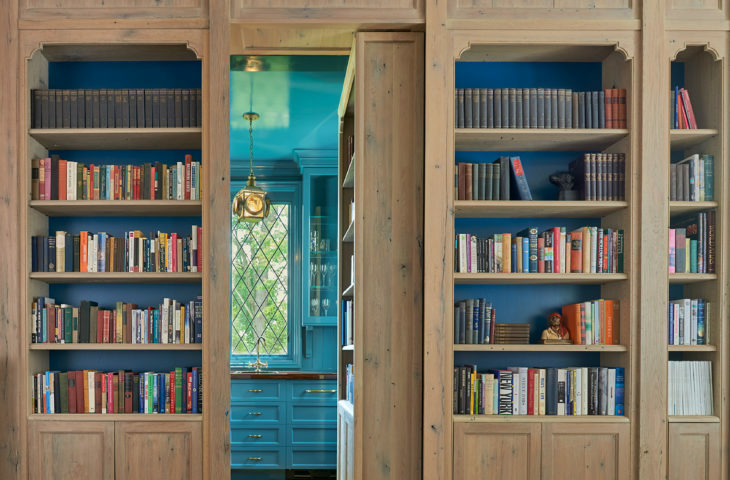 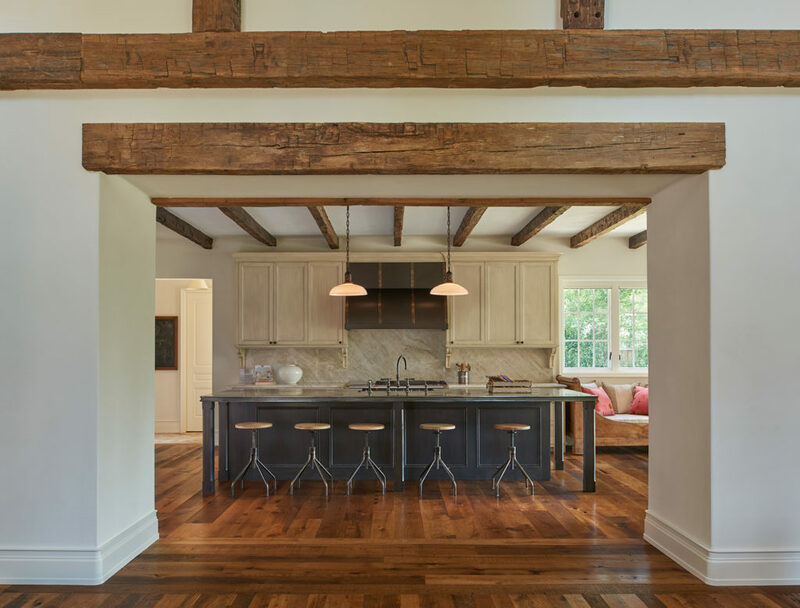 The homeowners sought to combine these stylistic traits with a rich pallet of rustic materials to create their expansive dream home. 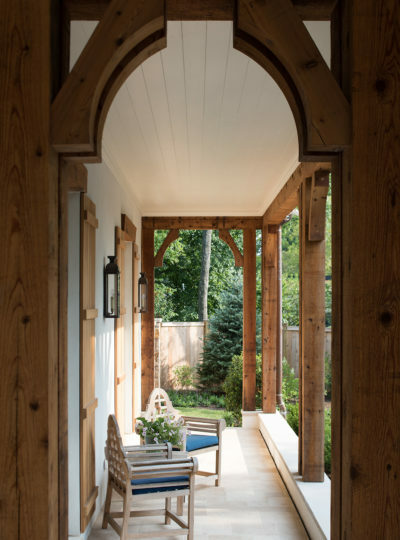 An entry court paved with granite cobblestones is bounded on one side by a detached 3-car garage (with upper level in-law suite) and on the flanking side, by the main house’s wood timber framed entry porch. 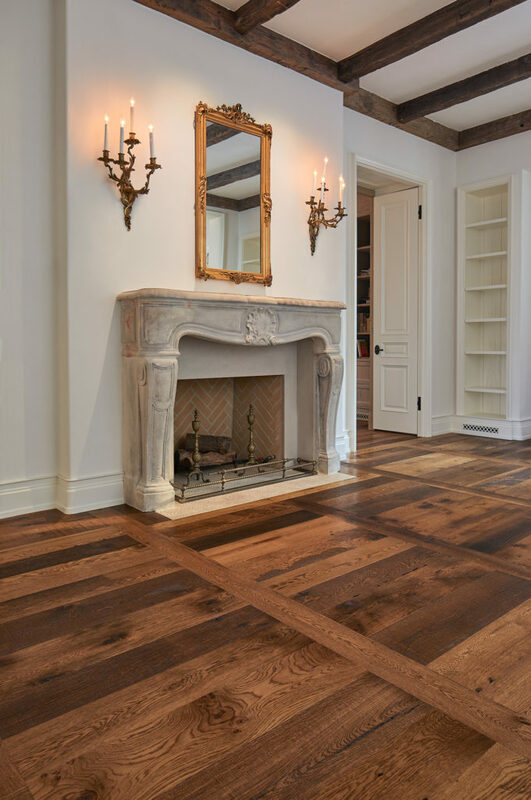 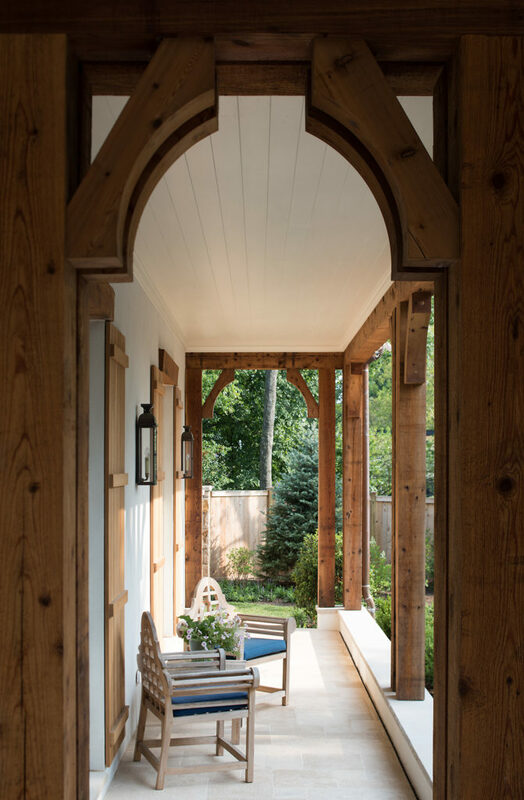 Beyond the heavy timber porch is a recurring theme of European rustic appointments throughout the “L” shaped floor plan interior spaces. 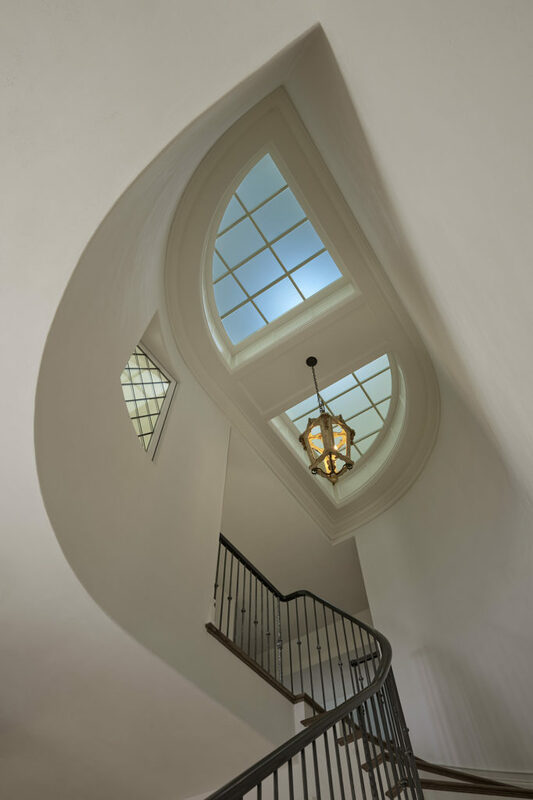 In addition to the remarkable resort style master suite, a few of the other memorable spaces within this home are; the custom sky lit sweeping entry stair, the groin vaulted gallery hall and the wine cellar rotunda.